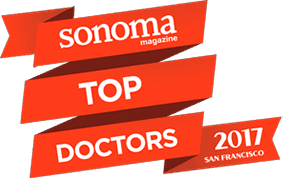 Testimonials For San Francisco Gynecomastia Surgeon Miguel A. Delgado, M.D. I am 40 years old and from North Dakota. I have lived with gynecomastia since adolescence and spent close to 30 years feeling embarassed and trying to exercise or diet my way to a flat chest. Since early on I have always known about gynecomastia but did not have the courage, to seek a professional opinion. 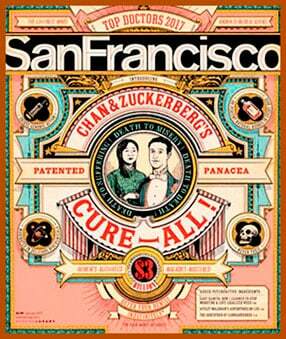 This past summer I finally made the decision to consult a doctor. I decided to use the internet to search,for a doctor with specialized experience in gynecomastia. Dr. Delgado's site gave me the answers to a lot of my questions and being out of state,they appeared to be ready to assist me any way they could. I had time off, so I decided to travel there and meet him in person,for a consultation. I was nervous about revealing my condition to anyone,but upon arriving at Dr.Degado's office I was made to feel welcome and relaxed,the staff was incredibly nice, Dr.Delgado was very friendly,and honest in explaining if surgery could help me and what kind of results I could expect. During the consultation Dr.Delgado gained my confidence and trust and we set up a surgery date for within two weeks. It has been five weeks since surgery and I'm looking and feeling great,in a week I will be able to take off the compression vest (yea! ),it is probably the most discomfort of the whole experience and it's not that bad,and start exercising again. The surgery and recovery have gone great,very little pain,everything is healing good,I have been very impressed with my results. To anyone considering this surgery,my advice is go for it and whether your in state our out of state like me it is well worth it and Dr.Delgado is a great,experienced choice to achieve the best results. Thanks so much to Dr.Delgado and his staff,Dr.Gaynor the anesthesiologist,the nurses and overnight nurses aid,you have made what I thought would be a humiliating experience,both pleasant and uplifting. Thanks for giving me a chance at a better life, full of confidence. I just wanted to share my experience of bilateral gynecomastia reduction surgery performed by Dr. Delgado in Novato, CA in late April. First, let me give you a little background: I am a physician in my mid 50's who lives in Northern California and have been cursed with moderate gynecomastia since about age 13 or so. I have tried everything under the sun to get rid of this condition including weight loss, exercise, no alcohol and finally Raloxifene. Nothing worked at all, and over time the gyno was slowly getting worse as I aged. It finally got so bad that it was nearly impossible to hide with even dark, loose clothing and so I knew I had to do something. Like most of us with gyno, I was severely embarrassed to take my shirt off in public and never wore white T-shirts or any tight fitting clothing on top. Life often revolved around the best way to hide the condition and ways to avoid being caught with my shirt off (as in avoiding trips to the beach, pools, and hot places). Slowly, life seemed to be getting more restricted and I knew in my heart that I was wasting my life over this stupid condition. So, I decided that action was necessary and the time was right. I interviewed several different surgeons and realized that many of them were not ideal for the gyno reduction surgery. Some only did lipo, while others only did glandular excision. I knew in my case that both techniques would be necessary in order for the job to be done right with good cosmetic results. Finally, after a long and intensive internet search, I came across Dr. Delgado and he seemed like the best MD for the job, so I set up an initial appointment. I was immediately struck by the kind and caring and non-judgmental attitude found in his office. The staff was friendly, knowledgeable and did not make me feel in any way uncomfortable....let's face it, this is a really embarrassing problem for any man to have, and it is refreshing to have it be treated just like any other medical problem. So, when Dr. Delgado came into the exam room, I was already at ease with the situation. He continued this sense of ease by being very personable, compassionate and yet professional all at the same time. As a physician myself, all I can really say is that this is a hard combination of characteristics to balance, and yet Dr. Delgado did so without difficulty. He is a great guy: both humble and yet the best plastic surgeon for this condition in my opinion. Also, he is down to earth and easy to relate to. After examining my gynecomastia, and showing me photos of his before and after work, I was convinced that this office and Dr. Delgado would be my best shot at getting a good result. He is an amazing body sculptor, and artist, and his photos showed incredible results. So, after another appointment for a pre-op physical exam, I underwent the "big surgery" on April 20th. Things went very smoothly and I awoke in minimal discomfort and fully alert. Dr. Gaynor, the anesthesiologist, did an outstanding job and was a pleasure to meet. A brief check post op with the dressings off looking for any possible bleeding showed the result I had hoped for: a completely flat chest! I could hardly believe it! Since I live about 150 miles away form Dr. Delgado's office, I decided to hang out locally for the first 4 days and then leave after my drains and stitches were removed. I stayed at the Novato Oaks Inn where there is a special room rate for patients of Dr. Delgado and this was a great, relaxing place to stay. There was good, reasonably priced room service for meals, and the rooms were spacious, clean and comfortable. Since I was doing this whole thing secretly, without even my wife knowing, their office arranged to have an overnight nursing assistant stay with me the first night after surgery (mainly to keep an eye on me for safety reasons). This person turned out to be a real nice lady who was quite helpful and I think a good idea to have for the first 16-20 hours after surgery. The post op pain was minimal and I only really took the Vicodin once a night to help with sleep. It is now post op day 30 for me and the incisions are healing well with minimal scarring (which should fade to not even noticeable with time) and no real complications. The only one problem I had was a minor allergic reaction to the antibiotic ointment and this was easily handled with over the counter cortisone cream. The results are excellent, way beyond my expectations, and I will be able to walk around with my shirt off in a few months without problem. My only advice is: If you are ready to make this plunge, I think it would be hard to find a better, more skilled and compassionate team then that of Dr. Delgado and his staff! I had surgery with Dr. Delgado at the end of June and it went well.ï¿½ My results are what I expected. It looks perfect with/without a shirt on. I was in surgery for about 3 hours or so but the recovery was perfect. As far as pain, I did not take any pain killers, the only true discomfort was the sleeping situation. Dr. Delgado himself is one down-to-Earth type of guy. He'll talk to you like you are a person and a friend, not just another money making opportunity. Was all good! No pain! I had a wisdom tooth pulled. Dr. Delgado is the man and worth the money. My results have been dramatic for I'm very pleased with the results. I would HIGHLY recommend Dr. Delgado. I'm not much of a writer but I felt compelled to share my story. I grew up with gynocomastia and it always bothered me. I struggled with my weightï¿½throughout my lifetime and finally got control of it as an adult through proper eating, nutrition, and exercise. ï¿½I am very active and was in perfect physical condition when I finally went in for the procedure. I lost most of my body fat and was down to 13.5% body fat. But no matter what I did I could not get rid of the fat in my chest & flank area. I did some research on line and found Dr. Delgado's web site. I set up a consult with him as did plenty of research. I was pretty happy to find out the Dr. Delgado is regarded as a leader in gynocomastia since he was local. I made an appointment for the surgery and so started my BETTER life. To anyone considering gynecomastia surgery and evaluating doctors, I strongly urge you to cross anyone other than Dr. Delgado off your list. And as the following should make clear, I offer this endorsement from a uniquely qualified position. I developed gynecomastia in my early teens and lived with it until my mid-20s when I finally decided to do something about it. I consulted with another plastic surgeon who then performed the surgery. Although the procedure resulted in a significant improvement I did not see the level of improvement for which I had hoped. At that point, however, I assumed that I truly would have to live with it and accept less-than-perfect results. When my oldest son developed this condition (and I watched him struggle through the same discomfort, self-conciousness, and embarrassment that plagued my teenage years), his physician recommended we schedule an appointment with Dr. Delgado. My prior experience made me particularly cautious and selective. 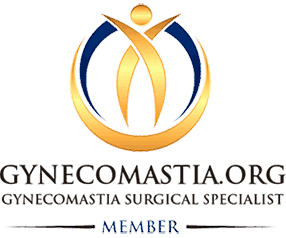 Dr. Delgado not only provided my son and me a thorough understanding of gynecomastia, its causes, and the corrective procedure, but he did so with a level confidence and understanding that made the decision much less difficult. The procedure went smoothly and the results were flawless - literally flawless. My son now has an ideally shaped chest with nothing to show he ever had this condition and, equally important, no evidence whatsoever of the procedure (even if looking very carefully and very closely). Given my son's success with Dr. Delgado, I decided to schedule an appointment to see whether I could go back and have done what I had hoped to have taken care of 15 years earlier. Once again, Dr. Delgado demonstrated why he is the best. From the initial discussion he presented everything I needed to make an informed decision, neither overselling nor underselling the expected results. And once again the procedure went smoothly and Dr. Delgado proved himself as much an artist as a surgeon. My chest now looks like what I had hoped for when I had my first corrective surgery. 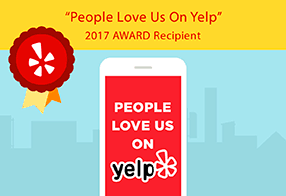 Dr. Delgado and his entire staff rank at the very top of their profession. I regret only that I did not initially go to him or, at least, did not go to him sooner. Do not have this procedure without at least talking to Dr. Delgado, learning about his substantial experience, and reviewing the results of his work.